Aplus Finetek Sensor, Inc. is pleased to announce the availability of its latest new product, the SCL series capacitance point level switch. The SCL series level switch eliminates the problems associated with many rotary paddle style bin level indicators, which fail because of moving parts, by using solidstate capacitance sensing technology to detect the presence or absence of a wide range of materials including dry and freely flowing powders and granular materials as well as liquids. Using state-of-the-art capacitance sensing techniques most applications require no calibration adjustments, but if needed this can easily be accomplished. The SCL series capacitance point level switch is definitely state-of-the-art featuring a local LED indication, a 20-250VAC/VDC universal power supply, fail-safe selection for high and low level applications and can work with target fluids and materials with a dielectric constant down to as low as 1.5. 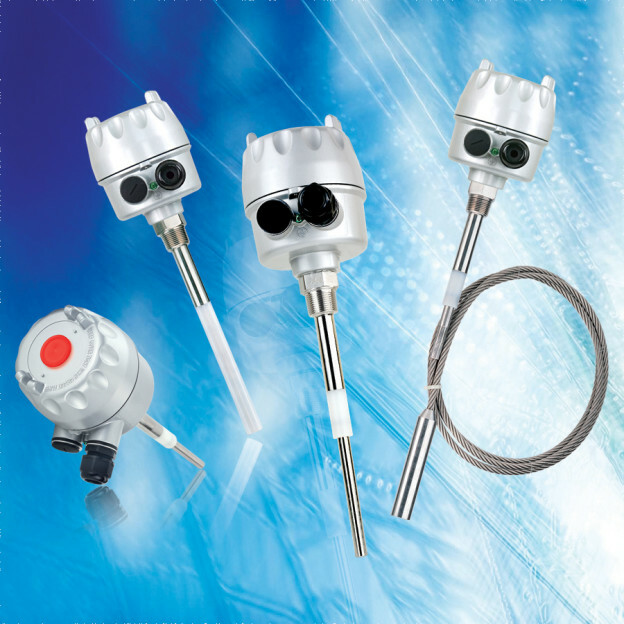 The SCL series is also a very affordable point level sensor, a solidstate sensor with no moving parts, featuring a universal power supply and local LED indication at less than the cost of many of the rotary paddle type fail-safe level indicators. For more information look at our SCL product page and contact Aplus Finetek Sensor, Inc. at 815-632-3132 or email us at info@aplusfine.com.